Richard Dreyfuss, left, and Robert Shaw in a scene from the film 'Jaws' directed by Steven Spielberg, 1975. Long before Steven Spielberg created the summer blockbuster "Jaws," Americans have been obsessing about the sharks creeping beneath the surface along our shores. Here are some of the milestones that spawned the cultural phenomenon surrounding sharks. 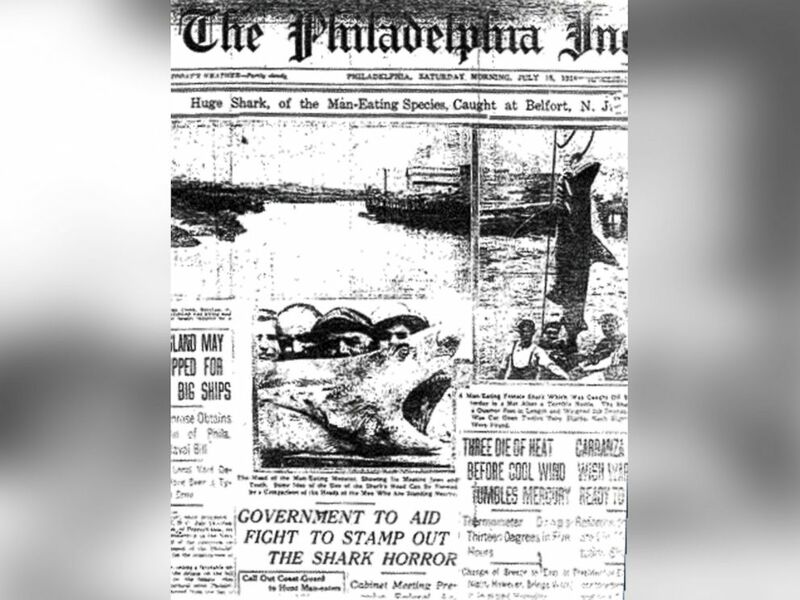 A series of shark attacks occurred along the New Jersey shore in 1916. The country's fear and fascination with sharks has often been credited to a series of shark attacks in 1916 in New Jersey that saw four people killed and one injured during a two-week period. The attacks led to widespread panic over sharks and a wave of shark hunts. "Jaws" the novel was first released in 1974. 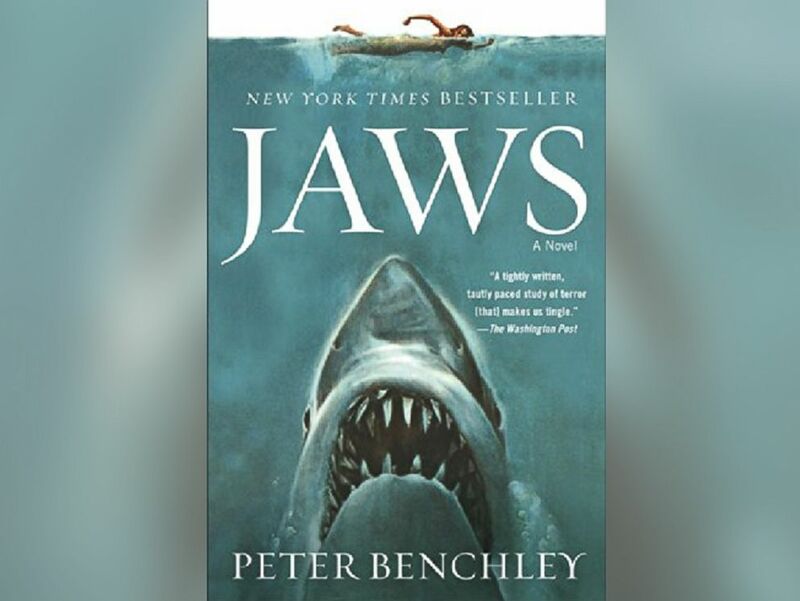 Sixty years after the attacks, novelist Peter Benchley wrote a novel loosely based on the events of 1916 and the story of a fisherman from Long Island who was determined to hunt down the killer shark. He set his novel in the fictional seaside resort town of Amity, Long Island, and the book rocketed to the top of the bestseller list. "Jaws" the movie premiered in 1975. Spielberg directed "Jaws" the movie and, with its release in 1975, created the summer blockbuster film. 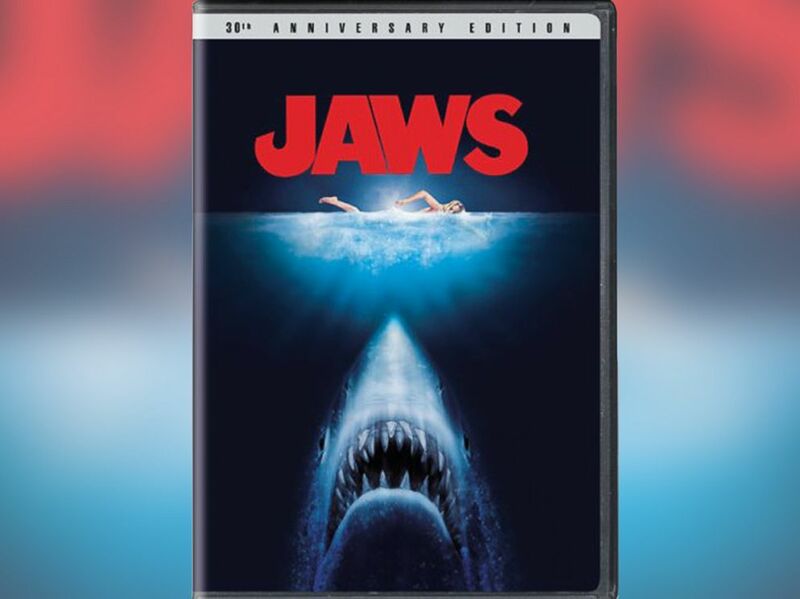 The movie followed local officials and fishermen as they tried to hunt down the giant shark terrorizing the summer crowds on Amity's beaches, and left America looking below the surface every time they swam. 1988: The First "Shark Week"
The first "Shark Week" aired on the Discovery Channel in 1988. 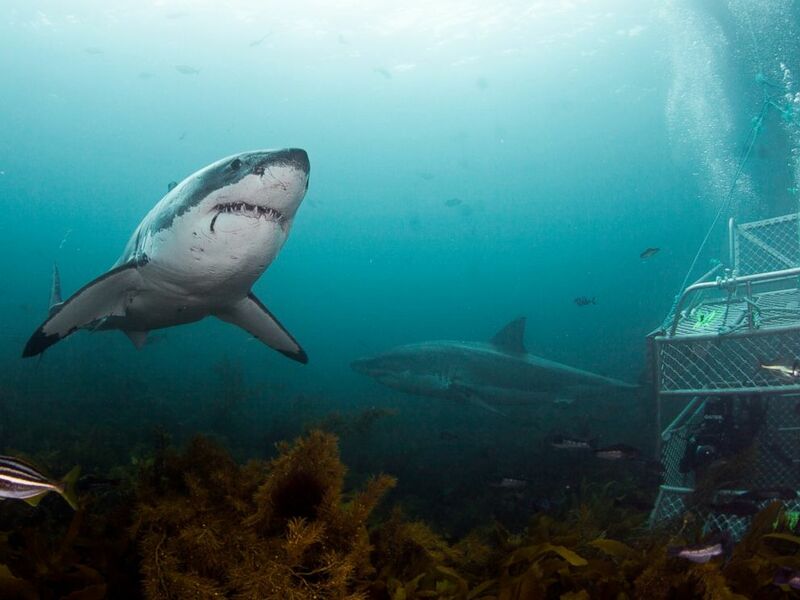 The Discovery Channel premiered its first "Shark Week" in 1988 with a documentary called "Caged in Fear" about the development of shark cages. Its popularity showed America still had an appetite for all things sharks, and "Shark Week" has continue uninterrupted for 26 years. 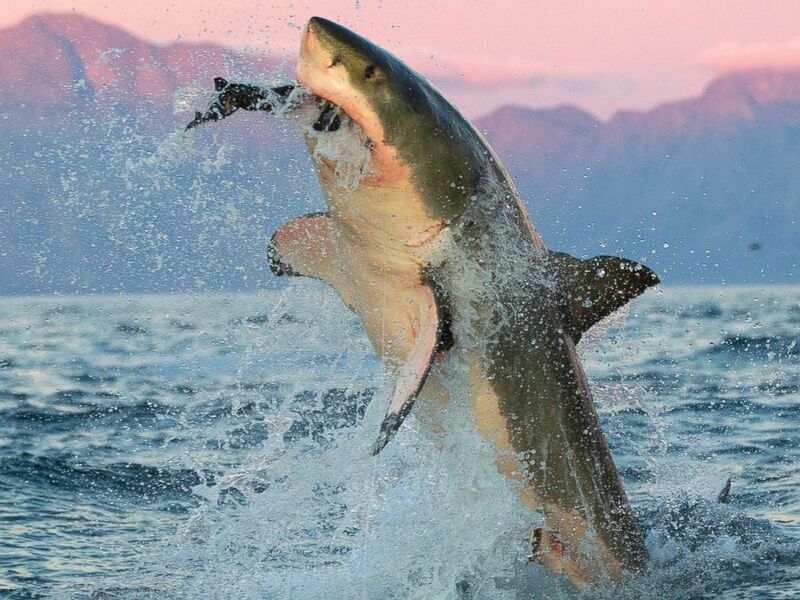 30 million viewers watched "Shark Week" in 2013, making it the biggest audience yet. By 2013, "Shark Week" had become a full-blown phenomenon, with merchandise, celebrity hosts, drinking games and references in hit TV shows, including "30 Rock." As if anyone could forget this moment in shark history, this made-for-TV-movie that premiered on the Syfy channel in 2013 showed what could (probably never) happen if a tornado swept up man-eating sharks and deposited them in a major city. It was followed up in 2014 by "Sharknado 2: The Second One." 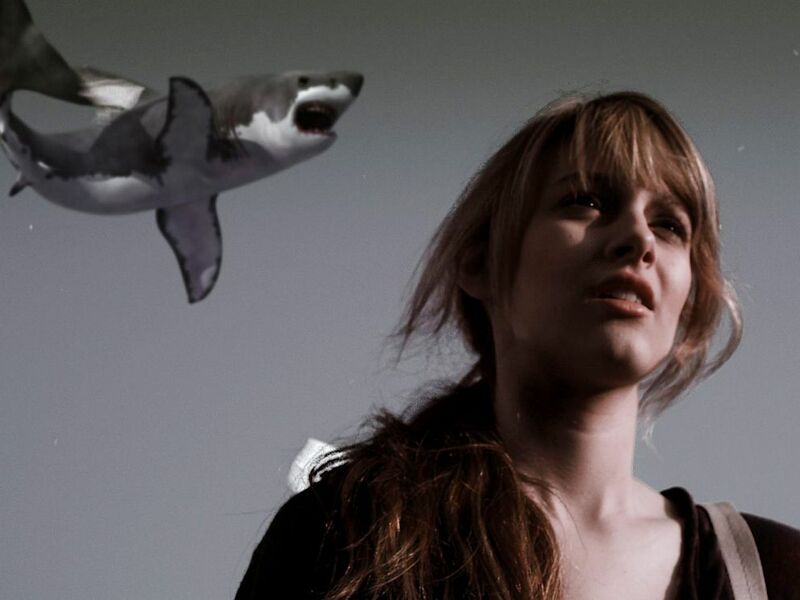 The perfume "Shark by Tara" was released in 2014. 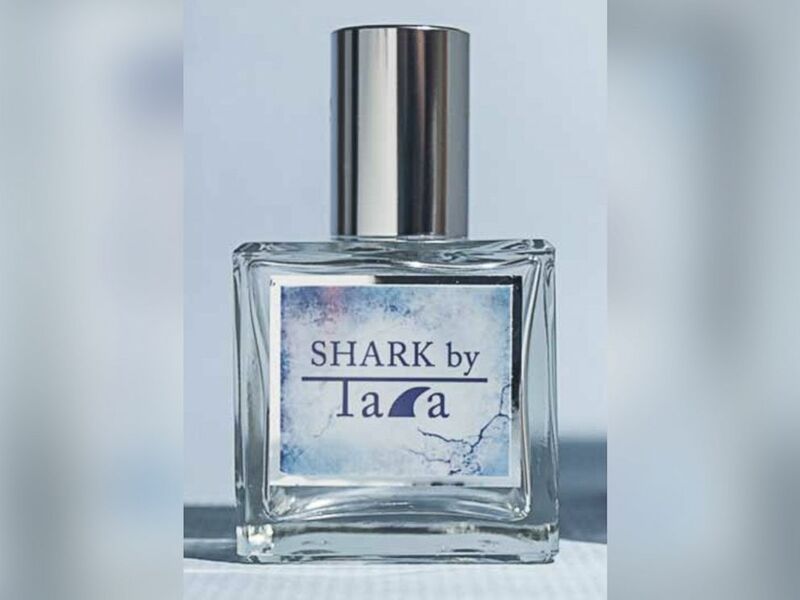 "Sharknado" star Tara Reid launched her signature perfume, Shark by Tara. And America's obsession with sharks continued, unabated.